You are here: Home / Basketball / Are the San Antonio Spurs Washed Up? In 2016, NBA legend Tim Duncan announced his retirement after 19 long years with the San Antonio Spurs organization, and the team entered a bit of an awkward phase as they weren’t yet ready to succumb to rebuilding. After all, the team still listed future Hall of Famers to be Tony Parker and Kawhi Leonard on the roster as well as All-NBA big man LaMarcus Aldridge. Perhaps they could still keep things going without The Big Fundamental around. 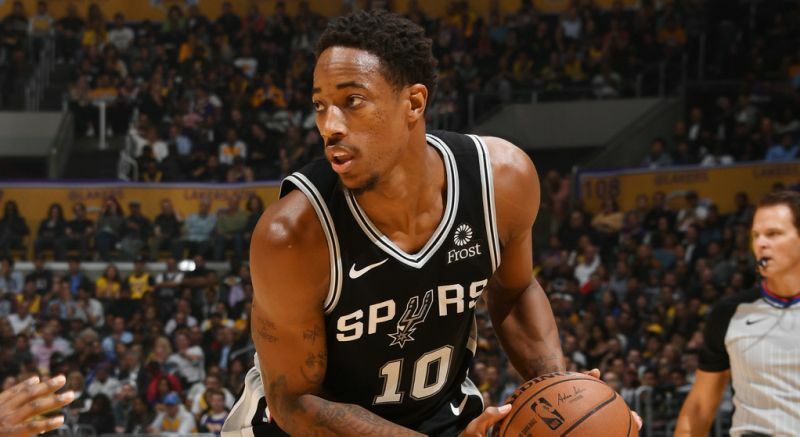 Then rumors of strife between Leonard and the Spurs organization began to swirl, and although I was a serious doubter, the Spurs finally traded Leonard and Danny Green to the Toronto Raptors in exchange for DeMar DeRozan and Jakob Poetl. Fast forward to a couple of months into the 2018-2019 NBA season and the Spurs currently sit at 12th place in the Western Conference–a rank that the team probably hasn’t seen since before Duncan and coach Gregg Popovich were with the team. With a winning record of less than .500, are the Spurs a washed up organization? Is it possible that the new direction of the NBA has finally passed the un-apologetically fundamental team by? If you know anything about the NBA, you know that the Spurs’ model of fundamental, role-playing basketball has been the foundation of their franchise for decades. Their system of bringing players under their indoctrination of ball movement, lock-down defense, and unselfish play has produced multiple championships over the course of many years. So could all of that be completely irrelevant now? To say that the Spurs are rebuilding right now isn’t completely accurate, but they certainly are working with a new set of players who are actively learning how to work with one another. The acquisition of DeRozan will prove to be a profitable acquisition for the team, but there will always be an adjustment period. We see something (kind of) similar taking place with LeBron James and the Los Angeles Lakers right now. James is a champion, he’s just working with a completely new system and set of tools so his ascension will take some time. Accordingly, the Spurs are a championship empire, and they’re taking the time they need to rebuild the castle walls after one of their foundational pillars left causing a partial collapse. Let’s take the Spurs’ recent 131-118 win over the Portland Trail Blazers for example. DeRozan took charge in that game, crediting Coach Gregg Popovich’s mantra of not feeling guilty for shooting the ball as his primary motivator in taking off. I’ve always believed that DeRozan needed a stronger coach in order to tap into his full greatness, and I think his pairing with Popovich couldn’t be more ideal. DeRozan’s powerful game against Portland included a burst of 15 points straight for the team–he went on to score a season-high 36 points for the night. DeRozan’s tenured All-Star power combined with Coach Pop’s basketball genius is magic in the making. But, making magic doesn’t happen overnight. The image below is something that has had a powerful impact on my career. I share this image with others, and every time I do, I can see the light bulb come on. You see, most people don’t understand what success actually looks like. (Most people have never won an NBA championship either.) 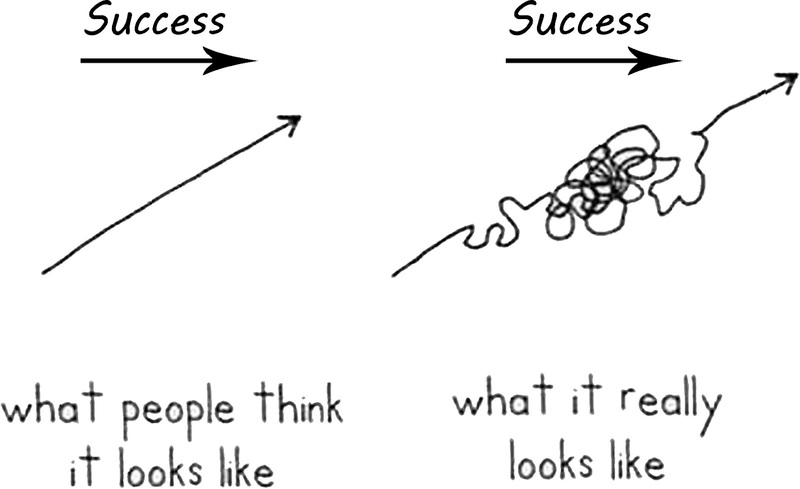 My point is, people panic when they don’t see a previously successful organization on the straight path upward like the left portion of the image depicts. When they see dips, and downright dives they may think things are about to go under when in fact, most of the time it’s just a curve that will take another turn upward in little time. Especially for a company that has proven time and again that they know how to win. The bottom line is that the Spurs model may be old-fashioned, but it’s by no means outdated and irrelevant. One of the most successful businessmen I’ve ever met told me that if you want to be successful, you should look at the direction everyone else is traveling, and travel in the opposite direction. Perhaps the Spurs are just on a different path than the rest of us are even capable of understanding. Regardless of where they’re at in their journey, I have no doubt they will be back near the top in no time at all. Is the Los Angeles Clippers' success here to stay?